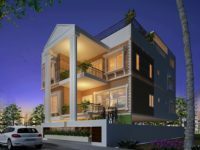 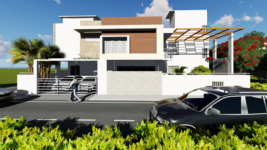 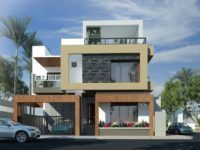 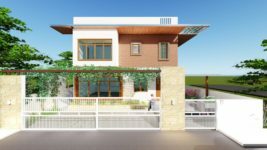 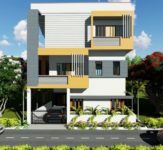 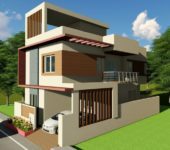 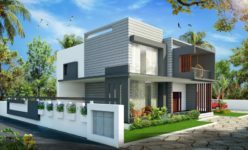 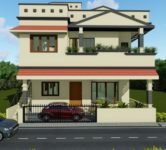 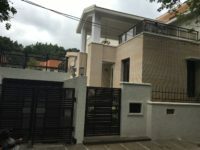 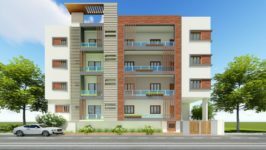 It is a contemporary, duplex bungalow with spacious interior spaces along with a beautiful garden in the front. 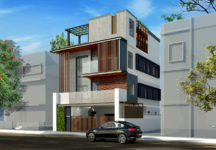 Concept: This house, being located along the corner gives a very good scope of playing with solid mass of the building. 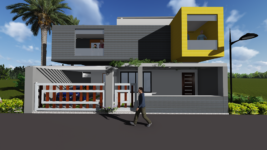 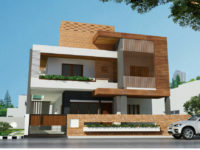 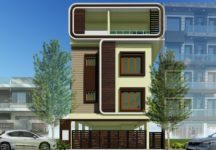 The bare solid mass/wall in front is utilised in providing cladding material of different choice thus, enhancing the elevation of the building. 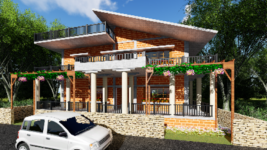 The pergola in the front enlarges the scale of the building due to its high location and also forms different patterns in the garden all throughout the daytime. 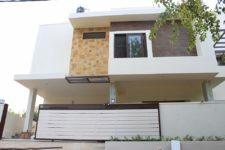 The entrance porch contains a large wide glass entrance doors bringing in a lot of light into the building and also providing a good view to the garden.